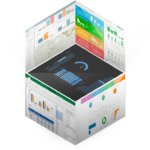 For developers who want to impress their end users with modern, interactive insights. For teams who want to collaborate on advanced insights, within one organization. We take care of maintaining the advanced analytical server while you focus on your insights. Get access to expert BI professionals to quickly get up to speed with what you can achieve with icCube. Find icCube's latest news on the company, the product, events, partnerships, technical articles and much more! Go beyond real-time. R and Java allow to create the mathematical models fitted to your business and needs. Your business is our success. Our support team, is there for you when you need it. Literally every graph looks like it is your own when you apply your tailored theme. Comment on any data point and request an action from any team member, for quick follow-up. 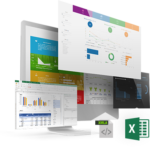 Combine data, set-up alerts, automate reports and let your teams collaborate and act within reports themselves. Let us know your project deadlines and our support team will team-up to help you reaching those milestones. We highly value stable solutions. We do not only solve your challenges, we aim to reach your long term business goals. Reliability is one of our company's values, you won't be surprised by later-on costs that haven't been discussed. Our solutions are Swiss Made. We believe a high quality BI solution is essential to guarantee a long-lasting BI solution within your company. Each business is different. We provide a tailored solution, on top of a solid core. icCube is a single Java process that runs on any OS. All user interfaces are fully browser based.